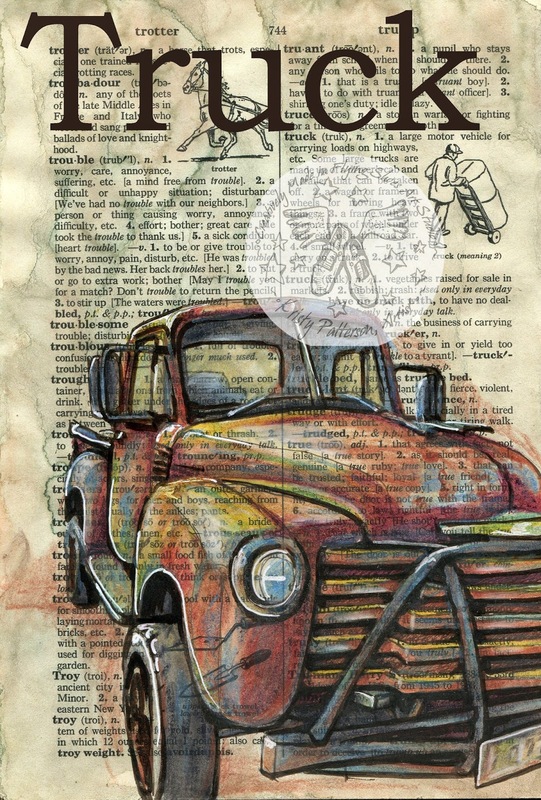 I drew my dad's old pickup years ago on a dictionary page and I've been meaning to draw another every since. I'd love to own a refurbished old truck. I've wanted one ever since I first saw Tom Hank's movie "Castaway." At the end of the film he met an artist who drove an old pickup and her logo happened to be wings....sound familiar? I've been on the look out for a pickup that caught my eye for my drawing (buying a pickup is kinda outta of the picture right now but who knows). While my husband and I frolicked over spring break we stayed in a wonderful bed and breakfast in Florence, CO. As we left we discovered this great truck abandoned in a ditch not too far from town. My husband actually spotted it first and I popped out of the car, waded into the muddy ditch and started taking pictures. Out of the blue someone pulled up, scolded me for being on private property and ordered me to leave. 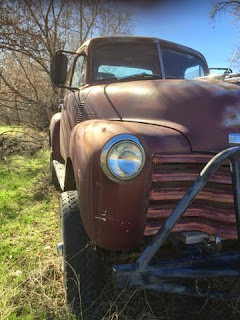 I did manage to ask the year of the truck and he told me it was 1955. 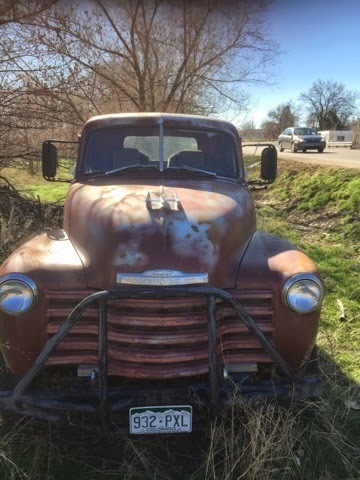 That makes this truck 60 years old. I decided I needed to find a page to draw it on from the same, exact year. Thank goodness I had captured a few photos before I had to go. Isn't this a great truck. It has so many great colors and the morning light was fabulous. If you want a fabulous experience I strongly recommend enjoying a night at the lovely Florence Rose Bed and Breakfast in Florence, CO. Bob and Barb are spectacular hosts and the history of the home is worth the stop.